Shady corners in the garden on summer days oftenbecome a favorite vacation spot, where it is pleasant to stay, sheltered from the scorching sun, and enjoy the beautiful pictures of nature. 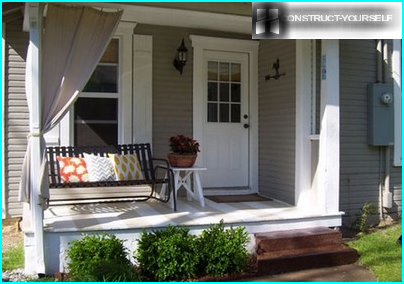 But how to elevate the area and what to plant in the flowerbed in the shade? After all, not all plants are able to safely tolerate shading created by the canopy of trees. 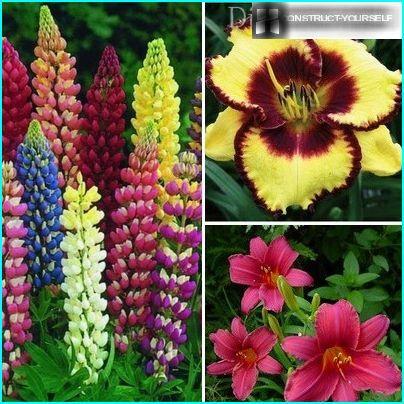 Turn the shaded area in the exquisite flower garden or a lush border can use shade-tolerant plants: bulbs, perennials and shrubs. Shaded areas definedduration and intensity of sunlight. The illumination area, in turn, depends on the length of daylight, solar altitude and the presence of trees, which provide shade crown. For shaded areas include areas that are illuminated by natural light for three hours, and at other times are only limited coverage. The thick shadow and creates a dense crone fir. Under its canopy can comfortably accommodate stonecrop pobegonosny or tender arisaema whose flowers resemble graceful glasses. The dense shade created and specialmicroclimate, which is characterized by high humidity and soil. 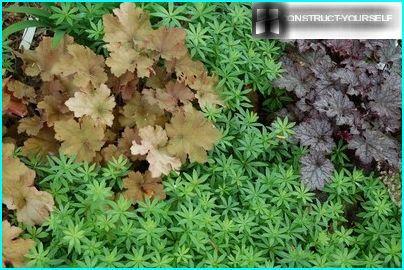 These conditions are favorable for the formation of the flower beds in the shade, which is based on Astilbe, geraniums, hellebore, Volzhanka, wood anemone. The well-moistened soil grow rapidly hosts diversity of which amounts to several thousands. Centre Shade beds can perform extraordinarily beautiful elegant ferns Chistousov majestic, strausnik and Dryopteris male. 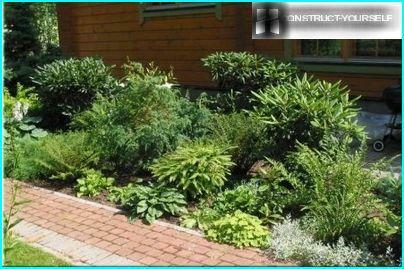 As for shade-conifers, then one of them can be attributed ornamental varieties of juniper, Canadian hemlock and spruce. A lighter shade to create a tree with openworkCrown: wild cherry, acacia, cherry, aspen, pine ... Some trees, such as birch and bird cherry, creating a diffuse shadow, much dry soil within a radius crown. 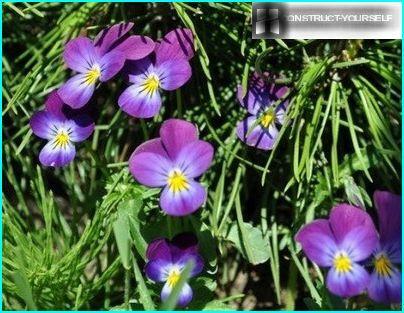 This should be considered as the most shade-tolerant plants hygrophilous in nature. Dry shade prefer broadleaf Solomon's seal, periwinkle, Mountain Girl, anemone Forest. In areas with dry shade is best to plant primrose spring, Badan, comfrey, cereals. On poluzatenennyh sites yourself comfortablefeel herbs: peppermint, radiogram pink, tarragon, lemon balm. Not demanding of lighting and solar: omphalodes spring, lungwort, sweet woodruff. 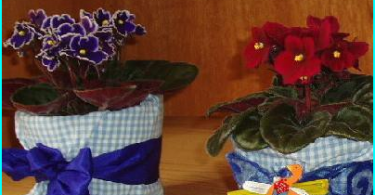 Due to the fact that such areas are getting moresunlight, plant selection to fill them expanded significantly. 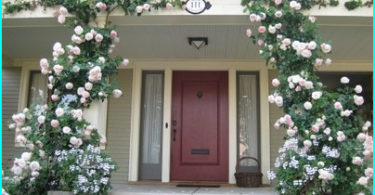 To make a flower bed can be used species peonies: Marin root, Caucasian, Wittmann. Among shade-tolerant trees and shrubsinclude Chamaecyparis Pisifera, thuja western, Korean fir, juniper Cossack, and hydrangea tree, elderberry and white dogwood. Among the vines to grow in the shade are good celastrus rotundifolia and Actinidia Kolomikta. 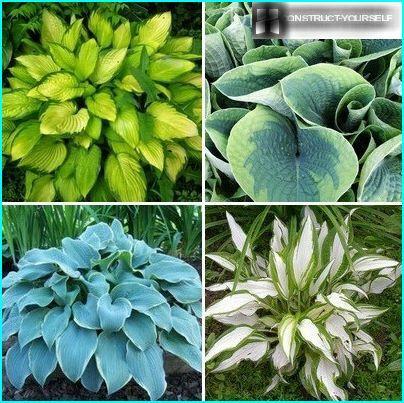 Many of them are attractive in terms oflandscaping unusual form of sheet plates or the original form of the bush. Among such plants include: pahizandru, host, ivy, periwinkle. "The highlight of the" other shade-tolerant plants are colorful berries, for example, at or wintergreen cotoneaster. But the plants showed their beauty in fullAs it is necessary to take care of appropriate conditions for their cultivation. Heavy clay soil - not the best option for arranging the flower bed. If dominated by clay on the site andloamy soils, improve their formulation may be by making peat and sand. To enrich the sandy soil, you can further make humus or fertile clay soil. 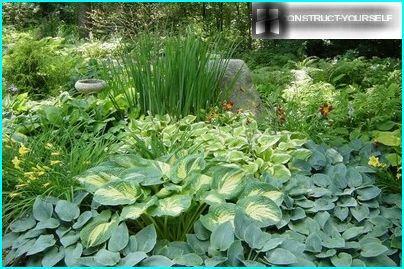 A characteristic feature of the flower beds, formed of shade-tolerant plants is a contrasting combination of shapes and colors of leaves. 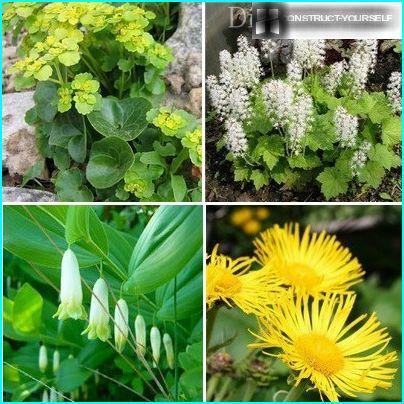 Therefore, choosing plants for flower bed, you should pay attention to the shape of their leaves, because they can be used to make a floral arrangement for a truly unique and original. In this way, everything the plants do not cover each other, and the composition is as impressive from all angles. 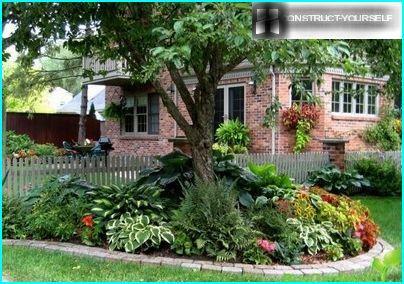 Flower garden can add originality byPlant alternation with foliage, decorated with horizontal and vertical lines. For example: create a successful combination of planted near garden geranium or foxglove against a background of variegated Rogers. 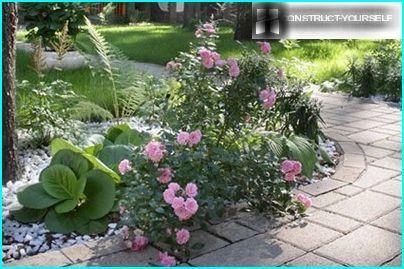 Fill empty space in the plant composition is always possible with the help of plants in pots. Containers with plants conveniently rearranged by changing the composition and achieving the desired effect. Browse lawn diseases and pests: how to defend your lawn in an unequal battle?